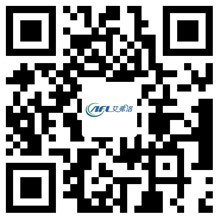 The Differences between Fans and Blower - Hangzhou Airflow Electric Appliances Co.,Ltd. A Blower Fan often uses the power of an electric motor to produce a volume flow of air at a given pressure, and is often considered a low-pressure air pump. The propeller converts the torque (rotating power) from the motor (usually a permanent separation capacitor, a AC induction motor, or a brushless DC) to an increase in static pressure at the ends of the fan rotor and an increase of the air particles in the kinetic energy. Fans are classified into propeller fans, tube axial fans and vane axial fans, while each type has different characteristics. Propeller fans are the simplest, because they are made up of only motors and propellers. Vane axial fans are provided with vanes which trial behind the propeller to straighten the swirling flow in the airflow. Tube axial fans are similar to propellers but with a venturi tube around the propeller to reduce the swirl. The main differences between a fan and a blower are the flow and pressure properties. A fan transmits air in an entire direction parallel to the axis of the fan blade, while a blower carries air along the vertical axis of the blower. Therefore, the fan can be configured to deliver a high flow rate and operate at low pressure, while the blower can deliver a relatively low flow rate to resist high pressure. A centrifugal blower can be a squirrel cage type, with a backward curved wheel or a forward curved wheel. Another major difference is the mechanism that limits airflow. In a blower, it has the opposite effect on the same motor that drives the fan blades. For example, when a motor drives a squirrel cage blower, the load on the motor decreases. When the system is blocked, the blower accelerates. On the other hand, as the airflow system is blocked by fan blades, the load on the motor increases and the fan slows down.